New pricing! Each kit is now only $600! Kits are available for pick-up in the Greater Cincinnati area or by shipping. For shipping information, please email us at store@rhythmx.org. Take home the drum set used on stage by X18! They're only slightly used and in perfect condition for your very own home kit! Each drum is wrapped in #708 Grindstone Sparkle finish, so it'll look great in every set-up. From Pearl: "After 30 years of being the #1 Selling drum set in the world, Export Series is still the name every drummer knows. Having jumpstarted thousands of drumming careers by bringing quality and value into one package, today’s Export continues to build legends. With features like Reference-inspired shell composition, a choice of wrap (EXX) or high gloss lacquer (EXL) finish, and our unbeatable 830 Series hardware package, Export is ready to fuel the fire for future drumming icons." The best marching snare drum on the market! These drums are only slightly used - having been utilized during the last several months of the X17 season. Both drums include Pearl's Piano Black finish with polished aluminum hardware. USE THE ALPHA SIDE OR THE BLACK UNDERSIDE! Some separating seems, minor scratches, and general wear and tear. Boths sides blend into new WGI black tarp perfectly! Available for pick-up in Indianapolis, Dayton, or Cincinnati. Freight quotes available upon request. Some minor scratches. Great overall condition! Shipping charges will apply to equipment not picked-up in Ohio or Indiana. Are you interested in pick-up in Indianapolis, Dayton, or Cincinnati? In our off-season we store equipment in Indianapolis, IN. Equipment can be picked-up at the WGI World Championships in Dayton, OH in April. We will respond shortly. Please direct further questions to store@rhythmx.org. Includes shipping and storage covers for top and rear. BEST CART On The Market! Pre-Order Now! Are you intereseted in pick-up in Dayton, OH or greater-Indianapolis? In our off-season we store equipment in Dayton, Cincinnati, and Indianapolis. Bar Width: 2.6" - 1.6" and 2.8" - 1.6"
Limited availability in April 2019. More availability in December 2019. Limited availability in April 2019. Definite availability in December 2019. Constructed of the highest quality mahogany for incredible warmth and low end response, these bass drums come standard in a beautiful lacquer finish. Adams Concert Bass Drums are also fitted with 2” wide wooden hoops. These drums are 40" in diameter and 22" deep on an Adams frame with field casters. NOTE: Available for pick-up only. 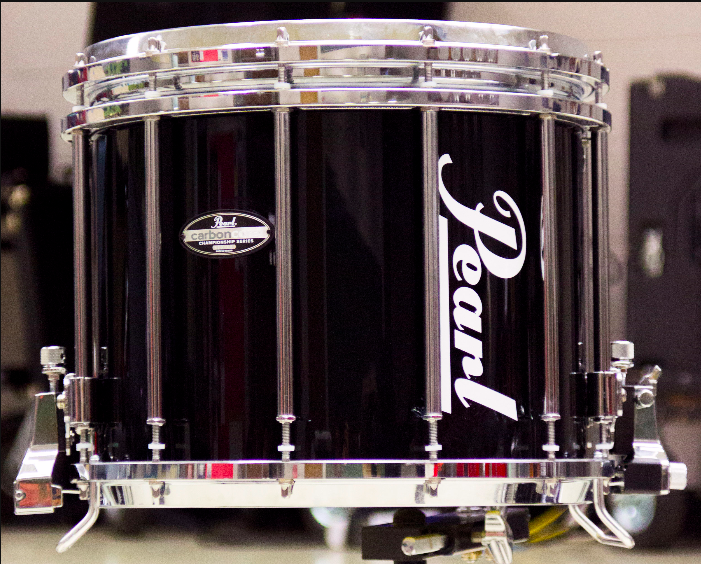 Pearl Marching Percussion sets the standard for quality instruments with incredible tone. Rhythm X relies on Pearl's CarbonCore and Championships series equipment. Our World Class percussion ensemble has used Pearl equipment for the last four years and has earned the winning Music Caption score for two of those years, placing 4th or higher overall each year. Equipment will be sold in a set first. Any remaining equipment will be sold online a la carte. For pricing, please complete the form below. EQUIPMENT IS AVAILABLE FOR PICK-UP/DELIVERY ON FEBRUARY 1ST, 2017. SHIPPING CHARGES APPLY FOR EQUIPMENT NOT PICKED UP IN OHIO/INDIANA. In our off-season equipment is stored in Dayton, Cincinnati, and Indianapolis.